I first experienced Aida Bicaj’s magic hands back in 2010, and she still proves to be supreme. As a beauty aficionado, I’ve had countless facials and treatments by many experts who are amazing in their own right, but I always seem to find my way back to Aida Bicaj. Located at 30 East 67th Street, in N.Y.C., the elegant address complements the delicately designed, posh spa on the top floor. Housing three exclusive treatment rooms, with a beautiful terrace, to boot, the spa is always booked. Bicaj is an advanced expert, utilizing Biologique Recherche facial treatments. With her unique massage techniques, micro-current treatment, and mask applications, the results are immediate. Furthermore, the “lifted look” lasts more than a day, more than a week, if not two. What’s her secret? It’s actually a very simple concept. Just like the way we exercise our bodies, Bicaj exercises the face muscles using a highly specialized machine made by Biologique Recherche, wherein micro-current is applied in upper motion to wake up the facial tissues and muscles, causing them to pull up, stay up, and plump. The very complex Biologique Recherche skin-care line is used in tandem with the facial application for maximal results. It’s a good thing that Bicaj can set up a system to help maintain the look as well as improve skin texture, as she is also a skin-care expert. 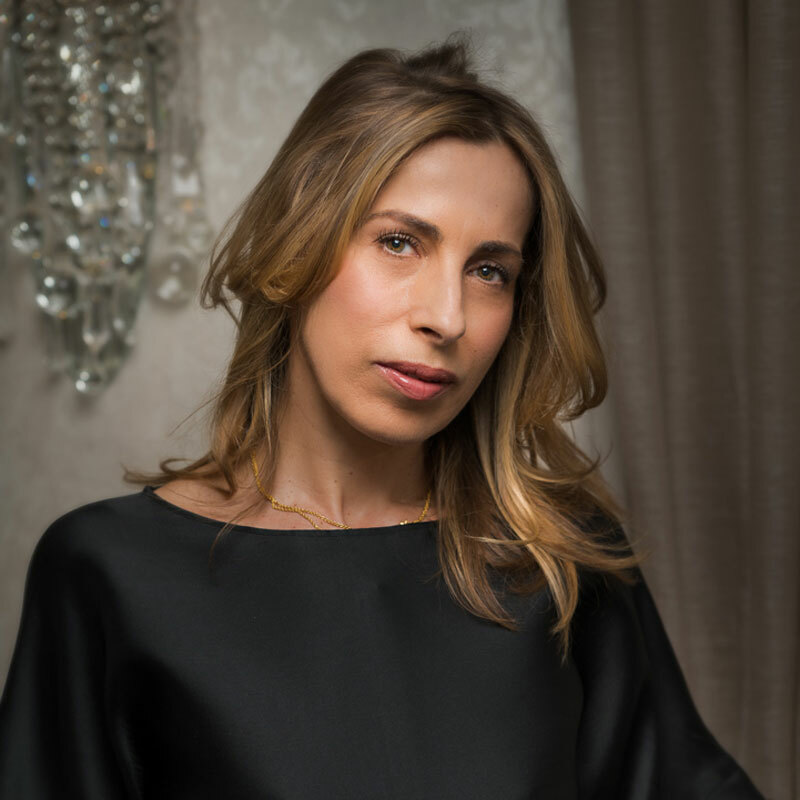 In her chest of beautifying elixirs and potions, Bicaj is also a fan of Future Cosmetics Boutique, a high-performance skin care from Israel that is exclusive to her spa. There’s also the ever effective MBR (Medical Beauty Research) signature line, from Germany, as well as Valmont, from Switzerland. Among the three different lines, Bicaj has her bases covered, treating the various skin types she encounters daily. If you’re a New Yorker or an out-of-towner seeking that ultimate facial, Aida Bicaj is a name I can recommend wholeheartedly without a doubt. However, if Bicaj herself is not available, do ask for Sofia Visan, who’s been at the spa since 2009 and was trained by Bicaj, of course. But, in her own right, Visan has proven to yield amazing results and has amassed a loyal-client list. Then, adding to the ultimate facial experience, there’s Juan Ortiz. A nail technician unlike most, he is recognized as a preventive pedicurist. A native Argentinian and a certified podiatrist in his homeland, had his own practice for 15 years, and now, as a pedicure technician in New York, he is thrilled to bring anyone’s feet back to their original childhood-like state! Meaning, it’s the most ingenious pedicure one can ever imagine and experience. This outstanding therapeutic treatment can be experienced while lying flat during a facial or it can, of course, be booked on its own. Looking for maximal results in a facial? Aida Bicaj spa is it, in more ways than one.